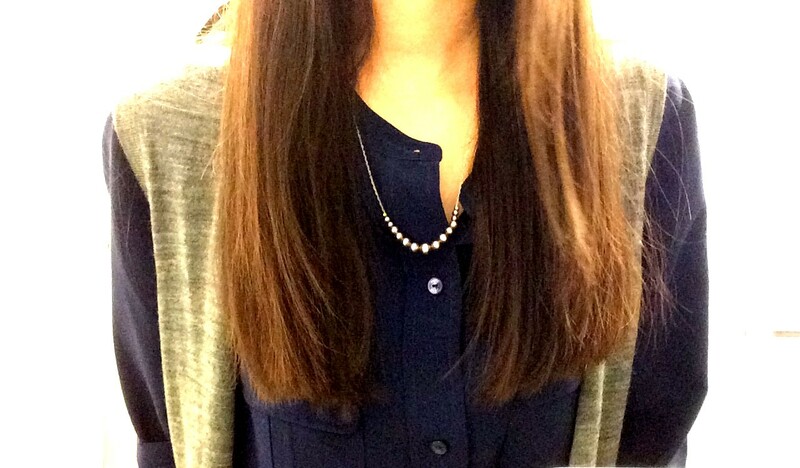 Last week, I test-drove two pretty trendy looks in the office: crop tops and over-sized cardigans. First up, the crop top. This particular one is Elizabeth and James (this available here), and has shiny metallic embellishments. I paired it with a high-waisted skirt, and layered a tank underneath, so even when raising my arms to put on a sweater (like so), there was no risk that some of my skin would peak out. Upper abdomen is not really business casual, no matter how you slice it. There is, admittedly, a lot going on with this outfit: trend, print, embellishment and color. I was, however, pleased with how it all came together - I think keeping the colors neutral (black, navy and tan) and the fact that the skirt fits perfectly, helped prevent any particular element from overwhelming the outfit. 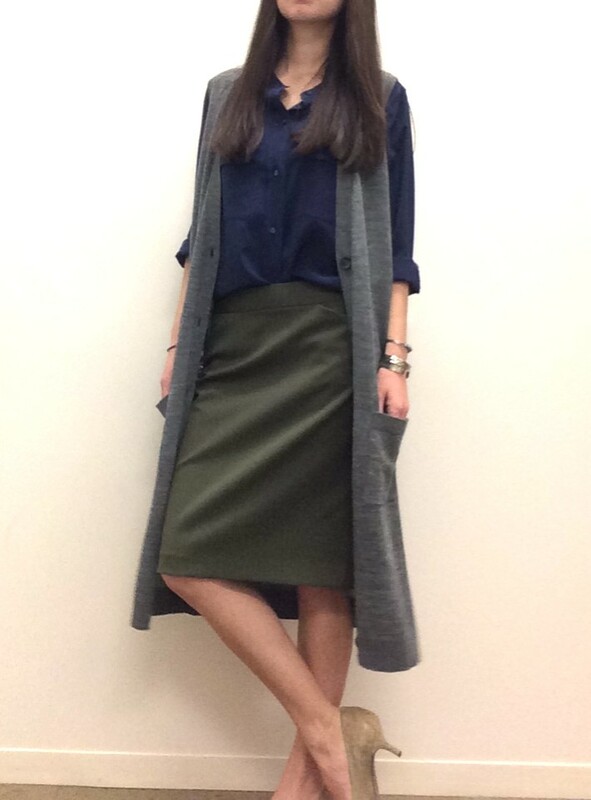 The second look features an over-sized sleeveless cardigan. This cardigan is incredibly soft and because it is so long, sort of functions like a work-cape. If I accelerated while turning a corner it would swish out and flutter behind me. I am pretty short, so to keep from being overwhelmed, I wore heels and tried to keep the rest of me looking streamlined. Are there any trends you have been wanting to try out and wear to work?